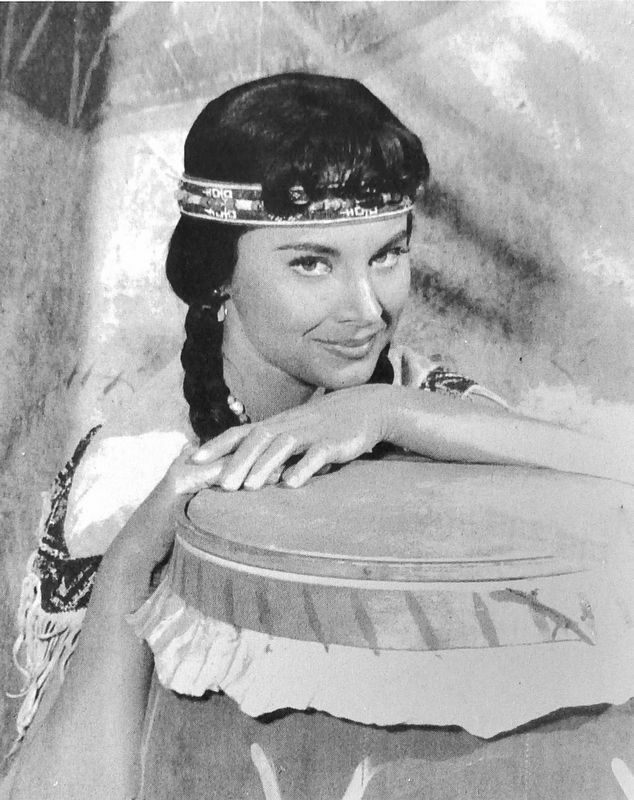 Beautiful actress Lisa Montell became known as the "Starlet of Many Faces", playing many different ethnic roles. 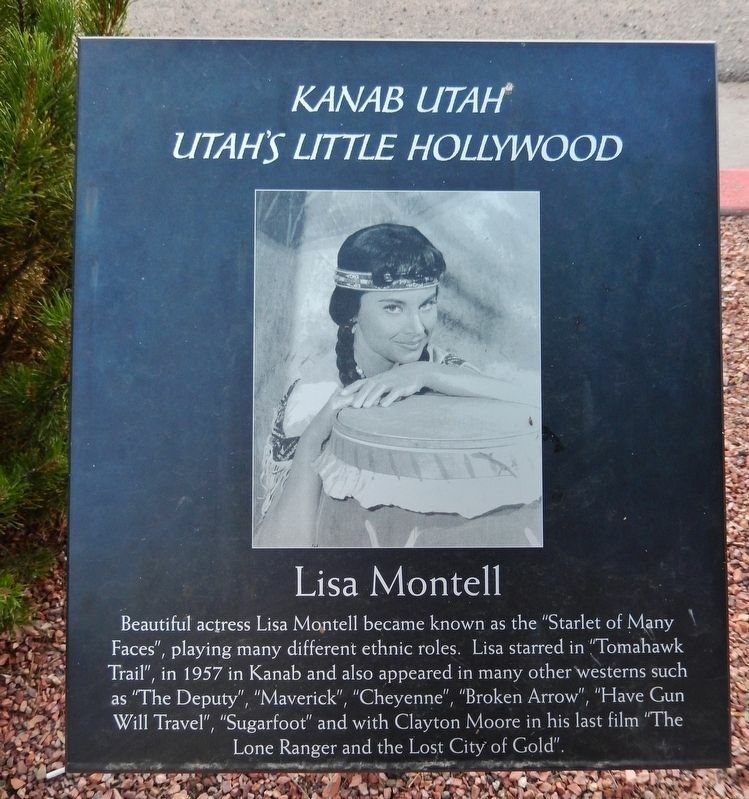 Lisa starred in "Tomahawk Trail", in 1957 in Kanab and also appeared in many other westerns such as "The Deputy", "Maverick", "Cheyenne", "Broken Arrow", "Have Gun Will Travel", "Sugarfoot" and with Clayton Moore in his last film "The Lone Ranger and the Lost City of Gold”. Location. 37° 2.646′ N, 112° 31.575′ W. Marker is in Kanab, Utah, in Kane County. Marker is on South 100 East (U.S. 89) south of East 200 South, on the right when traveling north. Touch for map. Marker is located beside the sidewalk, on the east side of the street. 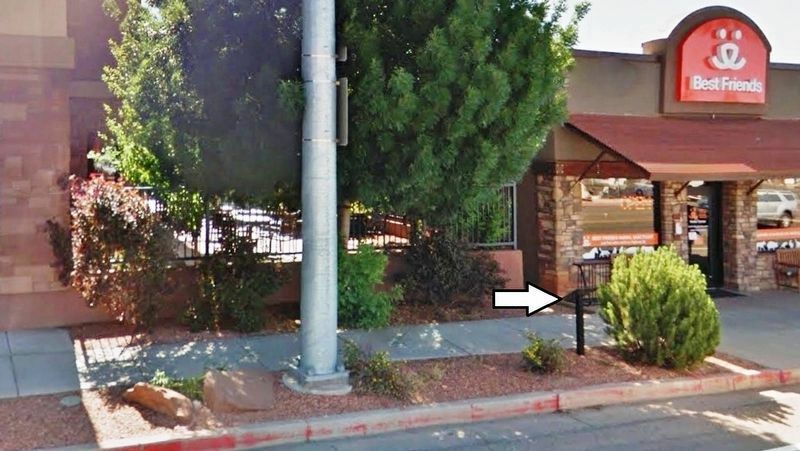 Marker is at or near this postal address: 235 South 100 East, Kanab UT 84741, United States of America. Touch for directions. (within shouting distance of this marker); Dub Taylor (within shouting distance of this marker); Ava Gardner & Howard Keel (about 300 feet away, measured in a direct line); L. Q. Jones (about 300 feet away); Rod Cameron (about 300 feet away). Touch for a list and map of all markers in Kanab. More. Search the internet for Lisa Montell. Credits. This page was last revised on March 8, 2019. This page originally submitted on March 7, 2019, by Cosmos Mariner of Cape Canaveral, Florida. This page has been viewed 136 times since then. Photos: 1. submitted on March 7, 2019, by Cosmos Mariner of Cape Canaveral, Florida. 2, 3. submitted on March 8, 2019, by Cosmos Mariner of Cape Canaveral, Florida. • Bill Pfingsten was the editor who published this page.